Let’s face it. January is something of a let down. After the fun of Halloween, the pleasure of Thanksgiving dinner, and the excitement of Christmas and Hanukkah, the year comes to a festive close on New Years Eve. The New Year however brings the realization that we ate and spent too much in December, and now have credit card bills and snowstorms looming ahead. But January can be an opportunity to turn our attention to some official observances that may make the long chilly month a little more bearable. For starters, January is Thyroid Awareness Month. It is estimated that between 30 and 60 million Americans suffer from thyroid disease. Because so many people are misdiagnosed, millions of thyroid disease cases go untreated. If you suffer from symptoms such as hair loss, fluctuations in weight, depression, high cholesterol, digestive problems or anxiety, you may have a thyroid disorder. Patient advocate Mary Shomon instituted the annual campaign ‘Check Your Neck: Change Your Life’ to promote thyroid disease awareness. To check for an abnormal thyroid, simply stand in front of a mirror, then swallow water as you stretch your neck back. If you see or feel an enlargement in your neck between your Adam’s Apple and your collarbone, you may have a thyroid problem. Inform your physician of any swelling or enlargement. Blood tests and a clinical thyroid exam will ascertain if you have thyroid disease. As someone who suffers from thyroid disease, I can attest to the importance of finding a health care practitioner who recognizes the problem and treats it promptly. Even Oprah Winfrey found it difficult to get her thyroid disease properly diagnosed. So this January, remember to check your neck, and re-evaluate any symptoms that may have been misdiagnosed or even ignored. Do you have too many files on your computer hard drive, or hundreds of emails squirreled away in electronic mailboxes? Does your cache have to be cleared? Maybe your monitor is a little less clean than it should be. Well, January is National Clean Up Your Computer Month. The League of Professional System Administrators recommends that January is the best time to install software updates, along with anti-virus and anti-spam programs. Delete unnecessary files and emails, and organize the ones you intend to keep. Don’t forget to physically clean your computer, especially the keyboard where dust and food crumbs have probably settled. 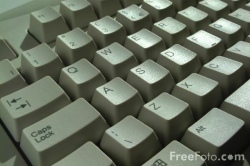 Take care to shut off your computer before vacuuming the keyboard and the computer fan with a wand attachment or brush. And if you’ve just bought a new computer over the holidays, now is the time to recycle your old one. Old computers can be donated to charities, or turned over to computer recyclers such as Comprenew Environmental in Grand Rapids. Since so many people long for the day when the first crocus peeps through the snow, it should come as no surprise that the Mail Order Gardening Association (MGA) has declared January to be Mail Order Gardening Month. Over half the nation’s gardeners order from catalogs and online websites, and consumers have over 100 companies to choose from. What better time to look longingly at photos of beefsteak tomatoes or pink alyssum than the doldrums of January? January is also when MGA hosts its annual Winter Conference, which will be held in New Orleans in 2011. 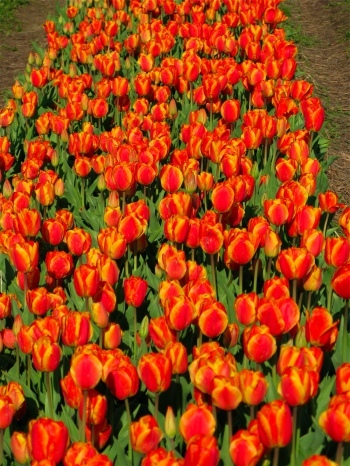 Gardening catalogs remind us that spring is just around the corner. Although harsh winter weather may keep gardeners indoors, they can take comfort in the fact that gardening provides significant health benefits. Gardening has been shown to burn between 200 and 600 calories an hour, while at the same time relieving stress. Even better, gardeners eat more fresh fruit and vegetables than non-gardeners. The MGA recently published what they see as major trends: water-wise gardening, container gardening, and an increasing number of locavores, or people who want to consume locally grown food. Thumb through that seed catalog when it arrives in your mailbox, and use January as a time to plan a bountiful summer garden. Remember when your mother tried to get you to eat your oatmeal instead of Cocoa Krispies? She would be happy to learn that January is National Oatmeal Month. Maybe it’s the cold weather and short days, but January is also the month in which consumers buy the most oatmeal. Whether cooked on the stovetop or in a microwave, oatmeal is the perfect warm start to a winter’s day. Oatmeal is a nutritional bonanza, filled with protein, vitamins, minerals and nutrients. 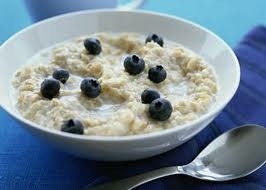 Research suggests that oatmeal may lower blood pressure and cholesterol. Oatmeal also provides both soluble and insoluble fiber, which aids in weight loss and possibly reduces certain types of cancer. But don’t get fooled by packaged oatmeal loaded with sugar and chemicals. A can of rolled oats or plain Quaker oats will give you all of oatmeal’s numerous health benefits. Add fresh or dried fruit, nuts, granola, chocolate chips, cinnamon, or maple syrup. Even if you’re not a regular oatmeal eater, get adventurous this January and try a bowl or two. Your body – and your mother – will thank you. 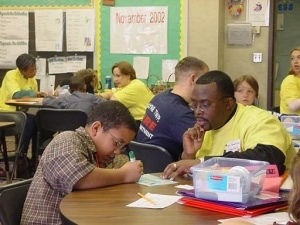 Numerous studies show that mentoring a young person improves academic performance and social skills, reduces substance abuse, and raises self-esteem. Check out www.nationalmentoringmonth.org for mentoring resources and opportunities. And if you’ve been fortunate enough to have had a mentor, take note that January 21 is Thank Your Mentor Day.